Maine Sea Salt Company was started in 1998 when founder Steve Cook, unemployed and wanting to start a Maine-based business and actually make something, saw sea salt on a shelf at a local health food store. Their original product was a 1 oz portion, packaged in a handmade envelope, intended for cooking lobsters. Folks in the local fish markets were skeptical at first, but once they tried it they had to come back for more. Pumping sea water from Buck’s Harbor into a series of greenhouses, the water is filtered and slowly evaporated in shallow pools until nothing is left but pure sea salt. 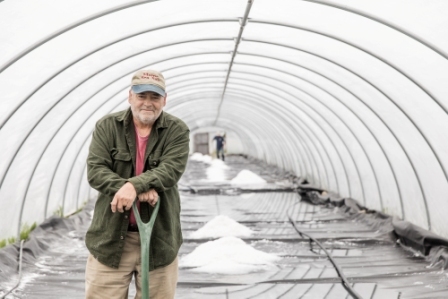 The salt is never heated (aside from what the sun does naturally in the greenhouses) and no drying agents are ever added, so all you get is 100% Maine sea salt.